Housing is a central component of family life and can provide a foundation for family well-being. While we typically think of family households as homeowners, renters are more likely than homeowners to have children in their household. However, migration, development, and tenure trends over the last decade have affected the availability of rental housing suitable for families. While the foreclosure crisis brought about a surge in single-family units converted from homeownership to rentals (along with a simultaneous growth in the number of renter households), following the crisis, developers in cities and suburbs across the country have constructed new rental housing that primarily consists of small, higher-end units, in part responding to the “back to the city” movement. Despite the increased number of single-family rentals, officials and commentators have expressed concern that middle-income families are not able to find suitable rental housing at a price they can afford. For low-income households with children, finding an affordable, right-sized, and safe unit can be an even greater challenge. This paper explores the challenges specific to families seeking rental housing, including affordability, suitable size, and discrimination against households with children. We then present our methods and definitions. 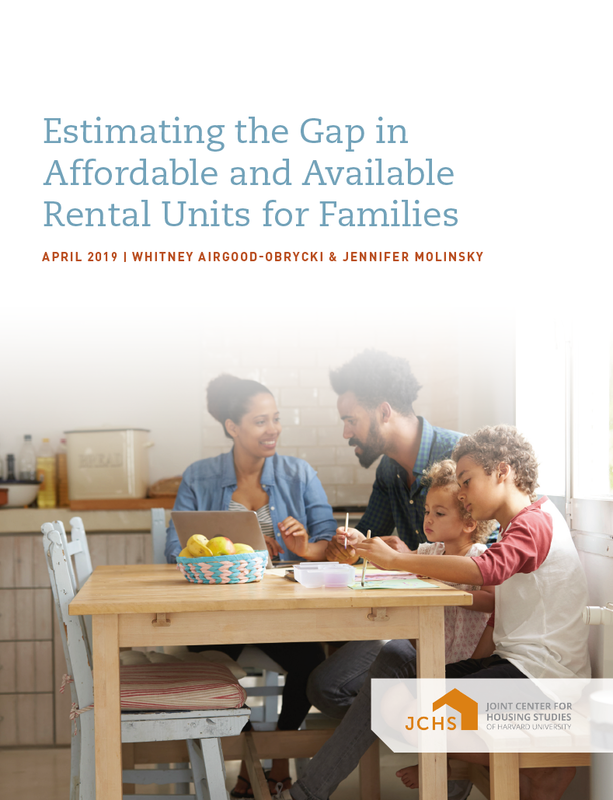 Our findings include a description of renter families in our sample and an assessment of the supply gap nationally, regionally, and in four metro areas. Next, we consider the role that single-family rentals play in providing affordable, family-sized units in regions across the country. We conclude with a discussion about policy implications and areas for future research.